We posted on our Facebook page in January this year that sb Vigilant was up for auction. The news was spotted by Sheila Hughan Moore who asked if it was the first time that a sailing barge had been sold on e-Bay. At the close of the sale period, there were 34 bids from 10 bidders, with the winning one being for £7,990. Martin Phillips told us that Vigilant had been lying in London for a while after she stopped actively sailing in the 90s, and was sold to become a houseboat at Woodbridge before moving to St Osyth. We were all agreed that the photos on e-Bay showed that she was in a sorry state. Now we have heard from Ann Mccabe that Vigilant is moored at Topsham Quay, awaiting restoration. The picture shows her at the time of the auction. The thing about The Barge Blog, the SSBR Facebook page, and the websites and pages of the individual barges is you learn a tremendous amount from them. Between us, we have contributors and “commenters” who are not slow in coming forward to give us information about the snippets of news we feature, or photographs we publish where we don’t know very much about them. And speaking from The Barge Blog perspective, we are very glad that they do. He gave this link to the Caravan Stage Company which performs on the deck of a 30 metre tall ship as the Caravan Stage Tall Ship Theatre. The boat, the Amara Zee, is based on the traditional design of a Thames Sailing Barge, and has the best of contemporary marine and theatre technology. With its shallow draft of 1.2 metres and its self-lowering masts via on-deck winches the boat can access virtually any waterfront community. 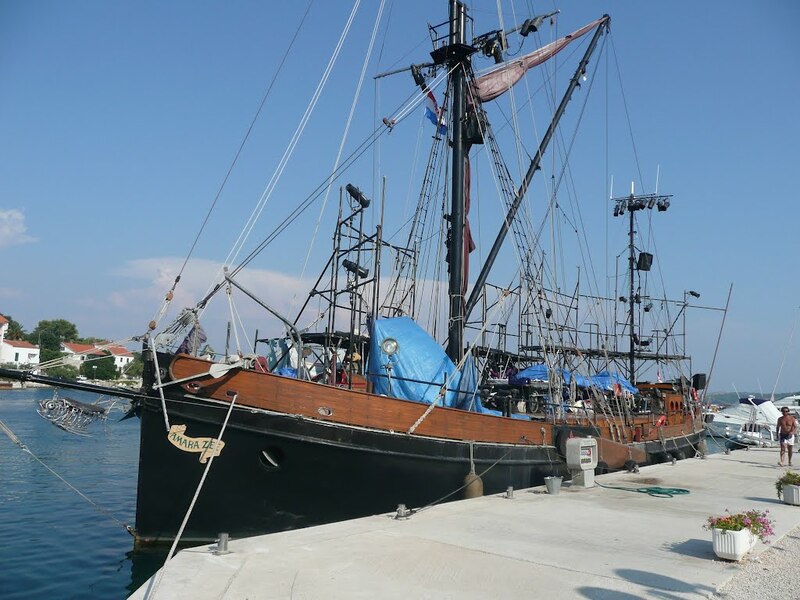 The Amara Zee uses the masts and rigging for the scenery, light and sound equipment and special effects. 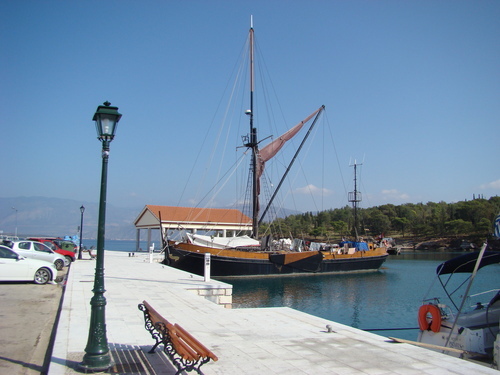 The shows are staged on the entire deck, on the masts and rigging, on the water and land surrounding the vessel with the audience sitting on the shore.